After a record setting 2018 campaign for the Mid-Eastern Athletic Conference (MEAC) and Southwestern Athletic Conference (SWAC), hopes are high in both conference races in 2019. Last years’ finishes for each team is out the window. 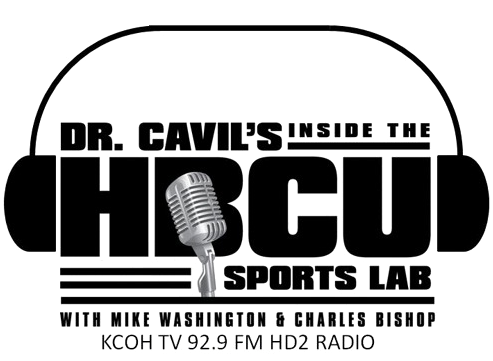 The college baseball preseason polls are out and there are high expectations for HBCU Baseball large school programs once again. There is plenty to watch this season. 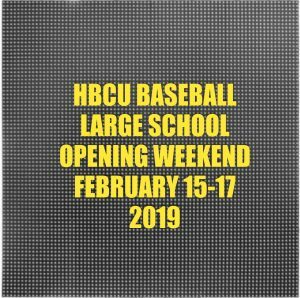 The HBCU baseball large school division season begins this weekend February 15-17. A slate of non-conference and conference match-ups begins the weekend action which includes the Andre Dawson Classic with Alcorn State and Prairie View A&M kicking off the NCAA Division I collegiate baseball season. This year’s tournament opens the season in New Orleans for seven Division I baseball programs from the (SWAC) including one team from the (MEAC) that will highlight opening weekend. Now all of HBCU baseball is in full action with the momentum to get things rolling out of the gate, but here are eleven things that we are really excited for in 2019. One opening weekend matchup to be excited? Florida A&M from the MEAC playing in the Andre Dawson Classic against the SWAC. This is a long time coming. Which team will reign supreme in HBCU Baseball 2019? Last season, North Carolina A&T and Texas Southern made the NCAA tournament. Both should be right back in the hunt, but there could be a surprise lurking in the midst…Last season Grambling was knocking on the door….Last season Coppin State was knocking on the door. Watch the Coppin Eagles. Which team will reign supreme in the SWAC? Jackson State if they don’t die out at the end of the season. Still watch Michael Robertson’s Texas Southern Tigers. Who will win a stacked SWAC Eastern Division? Alabama State they have plenty of pieces to compete, especially on the Hill. Alcorn State I’ve been told freshman have made some exciting progress. If they can make the impact, watch out. Will Maryland Eastern Shore climb out of the celler? Last season was a step backwards and a restructuring season was fair for this year, but I have heard they just might suprise the division. Is the Southern Division the best in the MEAC. If you think about it, yes, but you can never rule out pitching in the MEAC. Seems like the arms race in the conference is within the South Division unless you’re a Coppin State fan. Can Coppin State win a second MEAC Northern title? Coppin State won the Northern Division last season for the first time since 1996 and is expected to repeat in 2019. What’s going on in the SWAC West? Head coach James Cooper has Grambling State primed to win a West Division title? That blowout in last years conference finals from Texas Southern is fresh but the Tigers will have to battle. They also have a wealth of experienced and very talented player back in Rafael Ramirez. Grambling my pick to click in 2019. Will Texas Southern make a third straight SWAC Championship/NCAA Regional appearance? I’ve said it before and I’ll say it again. Head coach Robertson is a second half coach. Until someone knocks them off, I will not count them out. Can North Carolina A&T make back to back MEAC Championship/Regional appearances? My gut feeling Bethune Cookman has a new coach with juniors from that 2017 team that was a miscue away from upsetting the national champion Florida Gators, plus first year head coach Jonathan Hernandez has a star-studded cast of three returning regulars on the mound. The Wildcats will feature 2 time MEAC Pitcher of the Year, Junior RHP Anthony Maldonado as the ace, returning from injury redshirt Sophomore RHP Brady Norris, and Senior RHP Tyler Krull will round out the weekend pitching rotation. North Carolina A&T, the Aggies had one of the best recruiting classes in the country. Norfolk State had one of the best in HBCU Baseball. 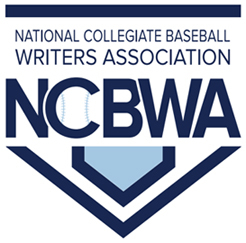 Norfolk State v. James Madison 3 p.m. Harrisonburg, Va.
Niagara v. North Carolina A&T State 3 p.m. Greensboro, N.C.
Maryland Eastern Shore v. Longwood 3 p.m. Farmville, Va.
Canisius v. North Carolina Central 4 p.m. Durham, N.C.
Coppin State v. Savannah State 5 p.m. Savannah, Ga.
Bethune-Cookman v. Florida Gulf Coast 6:30 p.m. Fort Myers, Fla.
Delaware State v. The Citadel TBA Charleston, S.C.
Norfolk State v. James Madison 2 p.m. Harrisonburg, Va.
Bethune-Cookman v. Florida Gulf Coast 2 p.m. Fort Myers, Fla.
Canisius v. North Carolina Central 3 p.m. Durham, N.C.
Coppin State v. Savannah State 12 p.m. Savannah, Ga.
Canisius North Carolina Central 12 p.m. Durham, N.C.
Maryland Eastern Shore v. Longwood 12:30 p.m. Farmville, Va.
Bethune-Cookman v. Florida Gulf Coast 1 p.m. Fort Myers, Fla.
Norfolk State v. James Madison 1 p.m. Harrisonburg, Va.
Niagara v. North Carolina A&T State 1 p.m. Greensboro, N.C.
Purdue Fort Wayne v. Alabama A&M 1 p.m. Huntsville, Ala.
Texas Southern v. New Mexico State 5 p.m. Las Cruces, N.M.
Purdue Fort Wayne v. Alabama A&M 12 p.m. Huntsville, Ala.
Texas Southern v. New Mexico State 1 p.m. Las Cruces, N.M.